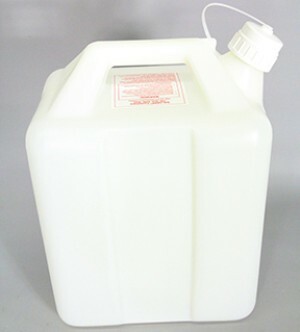 The Standard Level Sensor Cap Assembly with Tubing consists of all parts needed to connect a standard GL45 laboratory bottle to the Liberty Blue for collection of all system waste. The Standard Level Sensor Cap Assembly is the insert with five ports used to connect the Waste Bottle to the Liberty Blue. 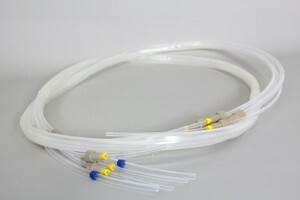 The Waste Tubing Bundle consists of five tubes that connect to the Level Sensor Cap assembly. 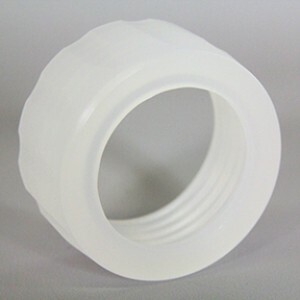 The Waste Bottle Ring Cap is a threaded ring used to secure to the level sensor cap assembly to a standard glass bottle. 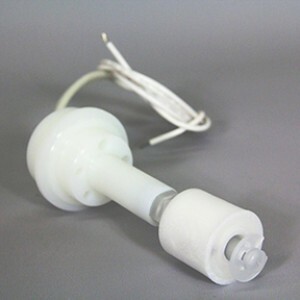 The Extended Level Sensor Cap Assembly is the insert with five ports used to connect the 20 L waste carboy. The 20 L Waste Container is a larger waste reservoir for the Liberty Blue. The 6 L Waste Container is a larger waste reservoir for the Liberty Blue.